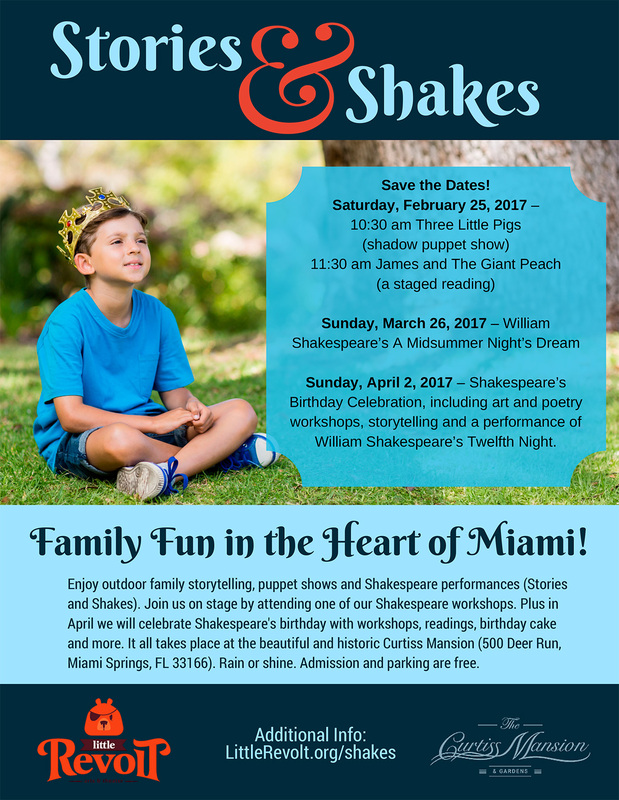 FAMILY FUN IN THE HEART OF MIAMI! – Save the Dates for STORIES AND SHAKES. 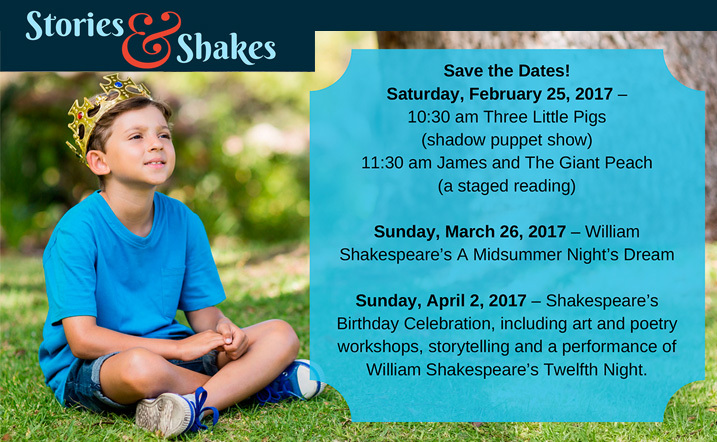 Enjoy outdoor family storytelling, puppet shows and Shakespeare performances (Stories and Shakes). Join us on stage by attending one of our Shakespeare workshops. Plus in April we will celebrate Shakespeare’s birthday with workshops, readings, birthday cake and more. It all takes place at the beautiful and historic Curtiss Mansion (500 Deer Run, Miami Springs, FL 33166). Rain or shine. Admission and parking are free.